Why we love it: Fair warning: once you try one color of this gorgeous lipstick from Axiology, you’ll want to try them all! 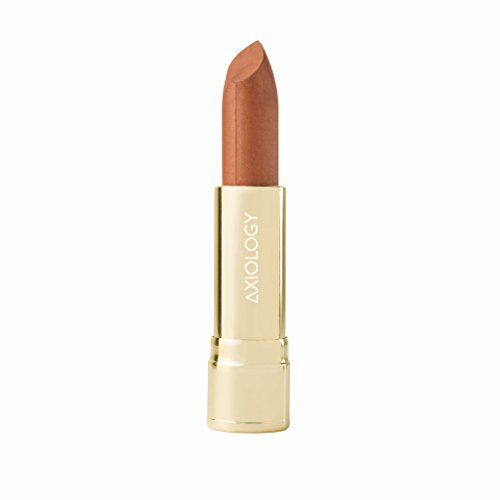 Cased in a chic, gold colored tube and made with organic Avocado Butter and Coconut Oil, this lipstick is pure luxury in a nourishing, non-toxic form! Designed to have a creamy satin finish, each lipstick provides hydration and long-lasting color throughout the day. Available in 19 colors. Organic Candelilla Wax, Organic Avocado Oil, Organic Castor Oil, Elderberry Extract, Organic Avocado Butter, Organic Grape Seed Oil, Organic Coconut Oil, Vitamin E Oil, Sweet Orange Oil; May Contain: Iron Oxide, Mica, Titanium Dioxide, Manganese Violet. Non Toxic. Vegan. Cruelty Free.